In an interview today with Bloomberg TV, Apple CEO Tim Cook said customers will be "blown away" by the experience of the HomePod. "I think people are going to love it. I know they are," said Cook. "I think they're going to be blown away by the experience." 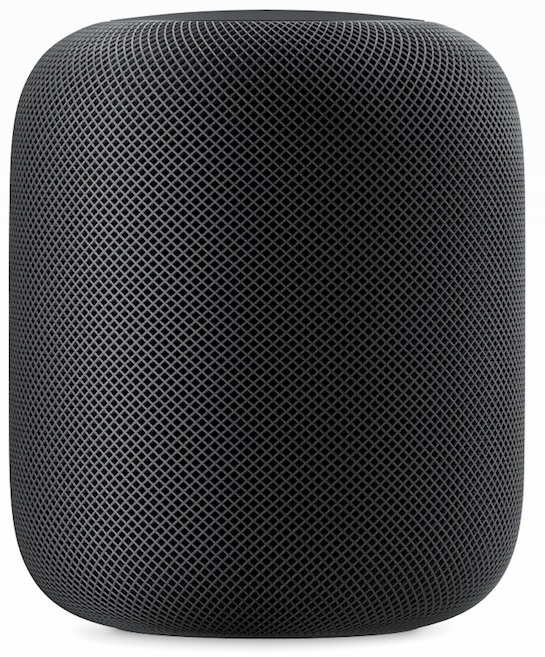 When questioned about why a customer should choose to purchase the HomePod over the Amazon Echo or Google Home, especially considering it's the most expensive of the three, Cook said Apple's focus was on creating a "breakthrough speaker" that delivers a high-quality audio experience in the home. "What we tried to do is build something that is a breakthrough speaker first," said Cook. "Music is deep in our DNA, dating back to iTunes and iPod. We wanted something that, number one, sounded unbelievable. I think when people listen to it, they're going to be shocked over the quality of the sound." Nevertheless, Cook acknowledged that both Apple and customers want a speaker that does more than simply play music. "Of course, it does a lot of other things, right, and all of those are important as well, but we wanted a really high-quality audio experience," said Cook. "There's a lot of things you can do with it," he added. "There's a lot of things that Siri knows how to do from the phone. We'll start with a patch of those as [Apple marketing chief] Phil [Schiller] showed today during the keynote, and then you can bet there's a nice follow-on activity there as well." Cook said Apple has been working on the HomePod for "multiple years," and as usual, it wasn't focused on being first to the market. "We didn't have the first MP3 player. We didn't have the first smartphone. We didn't have the first tablet," he said. "For us, it's not about being first. It's about being the best, and giving users an experience that delights them every time. We don't let that impatience result in shipping something that's just not great." Cook also briefly reflected on today's iOS 11 announcements, ARKit serving as a "foundation" for Apple's augmented reality efforts, and why he elected against joining U.S. President Donald Trump's various councils and committees. HomePod will be available in December for $349 in the United States, Australia, and the United Kingdom. It'll launch in other countries next year. I'm blown away by the price to be honest. I was in for $249. Have to disagree, good speakers that do this really are this price and more. Alexa and others sound okay but I would never really listen to music on them and expect them to fill the room. It is a speaker that happens to have Siri. I think most people who don't follow tech will struggle with this though, probably saying something like "but the (insert assistant here) is only (blah) much." I think where I (and maybe you) struggle is that I don't need a music blasting speaker. I would get a Siri assistant for 100 though. But that's not really what Apple was making all along was it? Some people "get it" and some don't. There are speakers and SPEAKERS! Hopefully HomePod is the latter. Time will tell once they are independently reviewed. I have some Bang & Olufsen wireless speakers around my house, both the A2 and A6 models. The sound quality is fine (though not nearly enough to justify their price) and they've sometimes been quirky in terms of dropping connections, etc. I've also found B&O's customer service to be really subpar. So obviously I'll be intrigued to near these new HomePods. The Siri and HomeKit integration is a great selling point. But something that I already see being missed by how the media is covering this is really the key point of appeal for me: PRIVACY. Thus far I haven't even thought about buying the comparable Amazon or Google products in this category as I don't want every interaction with this device to be commoditized by those companies. Apple's commitment to my privacy is the "high order bit" for me. Speakers like this are for people that want to hear music, not listen to music. This thing is a speaker that has Siri integrated. It's not a 50$ voice assistant. It's like comparing a flip phone to a smart phone. They aren't the same. Obviously we don't know how good of a speaker this is yet so that's what it really comes down to in order to warrant the price. It's also completely possible you're not looking for a speaker but a voice assastant so in that case this is not the device for you. 349$ for a spinoff Alexa spy device? Im already "blown away" by keeping 349$ in my pocket without ANY hesitation. Think more of Echo + Sonos...and this prices isn't bad. The iPod HiFI was a terrific speaker hat was insanely high quality and also expensive. This looks to be the sequel to that terrific product, only with an even better industrial design. Otherwise, this is a great looking product that will probably sound awesome. I don't get the hate at all. Apple is a luxury brand. Deal with it. Pay up or leave. Why? The Libratone Zipp is 299. This thing seems to have better audio and works with Siri.